Awareness Raising and Training is an important part of CLD’s activities and the main activities it undertakes in this area are found here. The Centre for Law and Democracy (CLD) has been working closely with the Information Commissions of Khyber Pakhtunkhwa and Punjab provinces in Pakistan to develop a sophisticated, comprehensive methodology for assessing the quality of implementation of right to information (RTI) laws. Although the methodology is being designed in Pakistan, it will be easy to adapt it for other jurisdictions. The Centre for Law and Democracy (CLD) (Canada), Transparency Maroc (TM), Palestinian Center for Development and Media Freedoms (MADA) and Maharat Foundation (Lebanon) launched their project on Building Opportunities for Civil Society Engagement with the League of Arab States with a workshop in Rabat on 22-23 March 2018. The project seeks to explore ways to enhance transparency and opportunities for participation in the work of the League. The workshop, which was attended by civil society and media representatives, discussed the serious democratic deficit at the League as compared to other inter-governmental organisations (IGOs), including regional bodies like the Council of Europe and Organization of American States. Compared to these other IGOs, the League of Arab States releases far less information about its activities and operates in a far less participatory fashion. Information Commissioners from Sri Lanka and India undertook a mission to Mexico’s National Institute for Transparency, Access to Information and Personal Data Protection (INAI), the oversight body in that country, last week to exchange best practices and experiences regarding oversight of the right to information. During the technical visit, on 7-8 March 2018, they met with different local actors both within INAI and externally, while on 9 March 2018 they participated in a public workshop. The visit was organised by the Centre for Law and Democracy (CLD) with the support of The Social Architects in Sri Lanka, and a former Information Commissioner of Canada also participated. During the technical visit, INAI showcased information about its insitutional arrangements and practices. Representatives of civil society and regulated entities in Mexico also shared their persepectives regarding the implementation of the right to information. During the workshop, titled Information Oversight Bodies in North America and South Asia: An Exchange of Views, participants discussed the systemic strengths and weaknesses relating to oversight of to information in each of their countries and shared ideas about how to create truly open public administrations or transparency by design. The workshop focused on three laws in particular, the 2004 Electronic Transactions Law, the Official Secrets Act, 1923 and the 2013 Telecommunications Law. A set of concrete draft proposals for reform of the most problematical provisions in these laws was discussed at the workshop, with participants putting forward ideas for further development of the proposals. The event was organised by Myanmar Media Lawyers’ Network (MMLN) and the Centre for Law and Democracy (CLD), with support from International Media Support (IMS) and FOJO Media Institute. It took forward earlier discussions on the issue, including a workshop hosted by MMLN and CLD on 9 December 2017. The workshop was followed by a General Assembly meeting of MMLN members. On December 17th 2017, the Centre for Law and Democracy (CLD) concluded a joint training programme for senior information officers from more than 30 different public bodies with the Nepal National Information Commission (NIC). The three-day programme focused on a range of issues including practical steps information officers can take to improve citizens’ access to information, the wider benefits of the right to information, regional developments, classification of information and future directions for information officers and the NIC. “Information is the fuel that drives democracy”, said Krishna Hari Baskota, Chief Information Commissioner at NIC. To illustrate the point, he showed a picture of a car with ‘democracy’ as its licence plate being fuelled from a petrol pump titled ‘right to information’. This event was the first international training conducted by NIC and the first formal collaboration between NIC and CLD. It was part of a wider programme of activities being undertaken by NIC which includes capacity building directed at public officials, wider awareness raising outreach to the public and systemic development of the NIC as a key RTI institution. In December 2017, CLD launched a Digital Security Guide for Journalists. The Guide is a simple, accessible tool to help journalists protect their communications and digital devices against hacking, surveillance and other forms of digital harassment. It was prepared by the Centre for Law and Democracy (CLD) in collaboration with International Media Support (IMS), FOJO Media Institute and the Myanmar Press Council (MPC). The launch event was attended by some 50 journalists from around the country, including a number working for ethnic media outlets. It is just the first step in disseminating the Guide, which organisers hope will be widely shared and disseminated in both electronic and physcial versions. A regional workshop on the right to information held in Beirut from 8-9 June 2017, bringing together participants from Algeria, Egypt, Jordan, Lebanon, Morocco, Tunisia and Yemen, and hosted by Social Media Exchange, the Centre for Law and Democracy and International Media Support, has agreed to create a regional network of right to information activists. This commitment was contained in a Workshop Statement adopted by participants. Information officers from government ministries and public bodies in Jordan met today at the National Library in a networking event to foster debate around creating a “community of practice” for these officers. Under the patronage of HE Dr. Mohammed Al Momani, Minister of State for Media Affairs and government spokesperson, the networking event was a follow-up to the successful trainings on the implementation of the Access to Information (ATI) Law organised by UNESCO Amman Office, Centre for Law and Democracy (CLD) and Department of the National Library as part of the EU funded and UNESCO implemented “Support to Media in Jordan” Project. Discussions about a right to information law have been ongoing in Myanmar for some time now, including a debate on the matter before the Commission for the Assessment of Legal Affairs and Special Issues which also took place on 14 February, and which Mendel also attended. A strong Broadcasting Law was adopted in August 2105 but implementation has been stymied by the fact that the National Broadcasting Council, the main regulatory body, was not appointed within the six months envisaged in the Law, in part due to the change of government. Technical amendments to the Law are now needed to extend the six months and allow for the appointment of the Council. Last week the first of several trainings on the implementation of the Access to Information (ATI) Law was held at the National Library in Amman. The first 3-day training session is one of five sessions being organized jointly by UNESCO Amman Office, Centre for Law and Democracy (CLD) and Department of the National Library as part of the EU funded and UNESCO implemented “Support to Media in Jordan” Project. The trainings, taking place between January and March 2017, are targeting all 60 information officials in every government Ministry and other public bodies in Jordan, as well as several journalists and local trainers from non-governmental organizations and other bodies who will be able to carry on future training. A workshop hosted by the Myanmar Media Lawyers’ Network (MMLN) and the Centre for Law and Democracy (CLD) on 21 January provided the setting for lawyers from across the country to agree that the Electronic Transactions Law and Telecommunications Law requires immediate reform. The discussion focused on the need to repeal the criminal defamation standards in the two laws (in sections 34(d) and 66(d), respectively), both of which have been used to imprison government critics. In addition to problematical criminal defamation rules, participants noted several technical problems with the laws, according to which individuals could be held liable for forwarding an email without the consent of its original author. The event feeds into a broader advocacy movement, including a major protest against the Telecommunications Law that took place on 22 January in Yangon. “Myanmar’s legal community has an important role to play by pushing for reform of problematical laws, such as the Electronic Transactions Law and the Telecommunications Law,” said Than Zaw, Secretary of the Myanmar Media Lawyers’ Network. Although just 12% of the population of Myanmar has access to the Internet, online speech is becoming an increasingly important theme in debates around freedom of expression. On 3rd September, the Myanmar Media Lawyers’ Network (MMLN), the Centre for Law and Democracy (CLD), FOJO Media Institute and International Media Support hosted an event for lawyers to discuss ongoing challenges to digital freedom in Myanmar. The workshop, held in September 2016, which was attended by 45 lawyers, featured a presentation from Robert Sann Aung, a well-respected human rights defender who has represented defendants charged under the country’s problematic Electronic Transactions Law for statements made online. Yadanar Tun, of the Myanmar ICT Development Organisation, followed with a discussion about digital security, introducing participants to the basics of how to stay safe online. In May 2016, the Centre for Law and Democracy, with support from International Media Support (IMS) and FOJO Media Institute, has hosted workshops with two of their partners – the Myanmar Media Lawyers’ Network (MMLN) and Pyi Gyi Khin (PGK) – to discuss current freedom of expression law reform issues in Myanmar, focusing on the regulation of broadcasting, public service broadcasting and the right to information (RTI). The new Myanmar government has been reviewing the Broadcasting Law, which focuses on private broadcasters, and discussing the content of the By-Law which is needed to implement the Law. CLD participated in a dialogue on these issues hosted by the Ministry of Information in the capital, Nay Pyi Taw, last week. A workshop with MMLN focused on Regulation of Broadcasting – Private and Public. 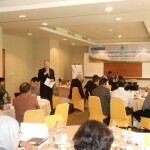 At the workshop, MMLN agreed to become more engaged in the Broadcast Law reform and implementation process. A second workshop with PGK focused on the development of RTI legislation. The discussion started out by analysing the draft RTI law released by the Ministry of Information in February 2016 and the response of civil society to that draft. The second part of the workshop provided an opportunity to discuss key standards civil society would like to see in any RTI law. oday, the Centre for Law and Democracy and International Media Support are hosting a seminar on Promoting Journalists’ Safety: Building an Effective Safety Mechanism, as a side event at the main UNESCO World Press Freedom Day event in Helsinki. The purpose of the event is to host a debate on the Discussion Paper, Supporting Freedom of Expression: A Practical Guide to Developing Specialised Safety Mechanisms, prepared by the Centre for Law and Democracy in collaboration with UNESCO and launched on 21 April 2016. The Discussion Paper focuses on specialised formal safety mechanisms which aim to provide protection to journalists and others who are attacked for exercising their right to freedom of expression and to combat the impunity which all too often prevails in relation to the perpetrators. Such mechanisms are in place in a few countries and are being seriously considered in a few more, but they deserve a lot more attention as a key safety tool. “In order to improve our response to the serious safety concerns that face local journalists around the world, it is imperative that we share the best practices available on setting up national safety mechanisms for journalists – mechanisms that are locally anchored and led. This Discussion Paper aims to do just that,” says Jesper Højberg, Executive Director of International Media Support. Those interested in joining in the discussion are encouraged to tweet on #MediaSafetyMech. In March 2016, civil society representatives from across Myanmar, representing a range of diverse interests, met in Yangon to found the National Right to Information Working Group. The Working Group is the result of over a year of advocacy and awareness raising efforts by Pyi Gyi Khin (PGK), a Myanmar-based NGO, and the Centre for Law and Democracy (CLD), which have worked together over the last year to host workshops across the country to build support for the right to information. The participants unanimously approved a Charter for the Working Group, and agreed on a national advocacy strategy for the coming year. In addition to the civil society workshop, last week CLD and PGK held an event for lawyers on the right to information in collaboration with the Myanmar Media Lawyers’ Network, and a training for the News Media Council. On 25 July 2015, the Centre for Law and Democracy (CLD) and the Myanmar Media Lawyers’ Network (MMLN), with the support of International Media Support (IMS), carried out a workshop for lawyers on defamation law and restrictions on freedom of expression in the name of national security. The workshop, which involved 25 lawyers from Yangon, is the latest in a series of events arranged by the MMLN, a network of lawyers dedicated to promoting freedom of expression which was founded in 2014. The topics were chosen due to their relevance to Myanmar’s ongoing democratic transition. Over the past week, two editors from the Myanmar Herald were convicted of criminal defamation for an interview they published which criticised President Thein Sein. Their lawyer, U Zaw Linn, was among the speakers. “Criminal defamation laws have no place in a democratic country and they certainly should not be used to stifle criticism against the Head of State,” said CLD Executive Director Toby Mendel. The workshop also discussed the Bi Mon Tae Nay case, in which five journalists, editors and publishers were charged with making statements which “alarmed the public” after their journal erroneously reported that Aung San Suu Kyi had formed an interim government, a subject which, according to international standards, does not touch on national security. “It is important for Myanmar’s legal community to evaluate the strengths and weaknesses of our country’s laws, particularly where they impact on important human rights,” said Than Zaw, Secretary of the Myanmar Media Lawyers’ Network. On 24 January 2015, the Centre for Law and Democracy (CLD) and the Myanmar Media Lawyers’ Network (MMLN), with the support of International Media Support (IMS), carried out a training on freedom of expression for 80 lawyers in Mandalay, Myanmar’s second largest city. The event introduced participants to international freedom of expression standards, focusing on issues that are of particular importance to Myanmar’s democratic transition, such as regulation of the print and broadcast media and criminal content restrictions. In addition to an international perspective, the participants discussed specific freedom of expression threats facing Myanmar, including the need for reform of the country’s criminal defamation laws and laws prohibiting insults to religion, and the urgent need to put in place an independent system of broadcast regulation. This was the first event held by the MMLN and CLD outside of Yangon, Myanmar’s capital. Its organisation was made possible through strong collaborative links with prominent lawyers in that city, notably U Thein Than Oo, who played a key facilitating role. Over forty of the attendees applied to join the MMLN and many expressed an interest in participating actively in the Network. The Holy Spirit University of Kaslik hosted a conference on the right to information to mark its 25th anniversary. Among the attendees was Mr. Chakib Kortbawi, Lebanon’s Minister of Justice. CLD Legal Officer Michael Karanicolas delivered a talk on the right to information as a human right. This conference aimed at applying UNESCO’s Media Development Indicators to the Mongolian framework, in order to determine the strengths and weaknesses of the system. 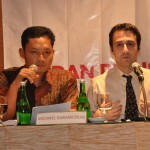 Michael Karanicolas was invited as the expert on broadcasting, and delivered a series of presentations on that subject. The Centre for Law and Democracy (CLD), the Centro de Estudios en Libertad de Expresión y Acceso a la Información (CELE) and Fundación Via Libre (FVL) held a workshop in Buenos Aires, Argentina, to discuss problems with the international framework for copyright and possible solutions. The workshop, which was attended by participants from across Latin America, featured presentations by Michael Karanicolas of CLD and Beatriz Busaniche of FVL, and was moderated by Eduardo Bertoni of CELE. A report on copyright by CLD with draft recommendations served as background material for the workshop. Free Press Unlimited hosted a conference in Rabat, Morocco to mark World Press Freedom Day. The subject of the conference was Morocco’s proposed Press Law reforms, including the idea of creating a National Press Council. CLD Legal Officer Michael Karanicolas discussed the proposed changes, and how to restructure the law in line with international human rights standards. This conference discussed the right to information. 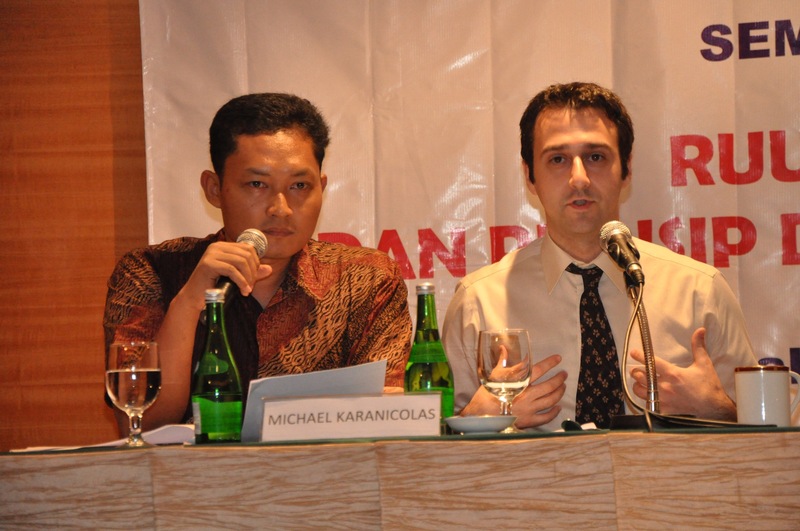 CLD Legal Officer Michael Karanicolas offered a global perspective on the right. Over the course of 2013, CLD expanded and broadened our Indonesia training programs in collaboration with local partners. 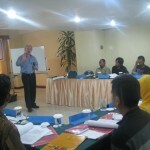 Building on the successes of previous civil society trainings, on 6-8 February 2013 CLD and AJI carried out a training of trainers in Jakarta. The event featured participants from several Indonesian provinces, including West Java, South Sumatra, West Nusa Tenggara and North Sulawesi, who are now acting as local RTI experts, and have conducted their own follow up RTI trainings of civil society and journalists in West Nusa Tenggara, North Sulawesi, Riau and West Java. 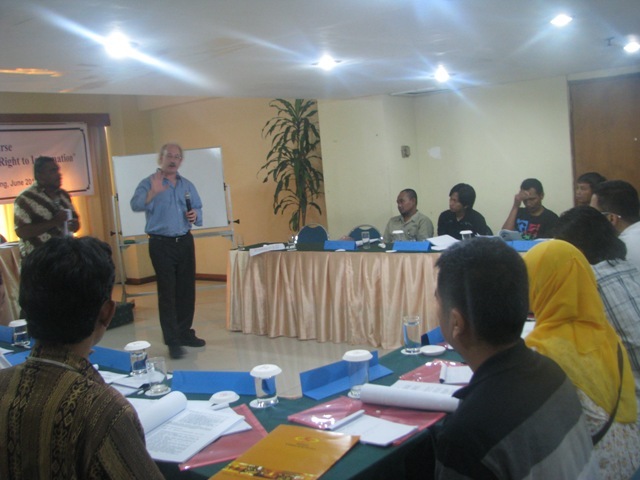 CLD also carried out two trainings of Indonesian public officials, on 29-30 May 2013 in Jakarta and on 11 November 2013 in Banten. The trainings were carried out using a specially developed training manual, available in English and in Bahasa Indonesian. This symposium aimed at promoting the right to information in the Maldives, and encouraging the Maldivian Majlis to pass a draft RTI law that had been prepared. CLD Legal Officer Michael Karanicolas prepared an analysis of the strengths and weaknesses of the draft Law, as well as a broader presentation on the benefits of the right to information. The symposium was attended by the then Speaker of the Maldivian Parliament (Majlis). The Government of Myanmar has made a strong public commitment to undertake a programme of democratisation, including through creating an environment in which freedom of expression is respected. A key part of this will be to create an enabling legal environment for a free media, adopting new democratic laws and repealing or amending the many repressive laws which still remain in force in the country. As first steps, the Government is planning to adopt new press and broadcasting laws. To provide expertise on relevant international standards as well as better national practice, International Media Support (IMS) and the Centre for Law and Democracy (CLD) organised two one-day workshops in Myanmar, one on broadcast regulation in the new capital, Naypyidaw, on 23 April 2012, and another on print media regulation in Yangon on 25 April. The workshops, attended by senior government officials, civil society and media representatives, provided an excellent opportunity to discuss key regulatory issues relating to both media sectors. The signs from Myanmar about commitment to reform are very positive. At the same time, the challenges of moving from an environment of extensive government control over the media to greater respect for freedom of expression are very significant. Putting in place a good legal framework will be an important early step in this process. As part of a process of reforming the country’s RTI legislation, the government of Montenegro has prepared a draft Law on Free Access to Information, an update to the 2005 Law on Free Access to Information. CLD Legal Officer Michael Karanicolas prepared an analysis of the draft Law pointing out its major shortcomings, which was presented at a conference in Pogdorica. 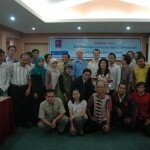 On March 8, 2012, CLD and the Indonesian Center for Environmental Law (ICEL) conducted a workshop in Jakarta on the right to information. The seminar was conducted at the invitation of the Supreme Court and featured a keynote presentation from one of Australia’s foremost jurists, the Honourable Michael Kirby AC CMG. Among those in attendance were Sultony Mohdally, Supreme Court Judge, Regional Attorney General Suhendra, senior representatives from the Indonesian National Police Headquarters, and several judges and Information Commission representatives, who travelled from around Indonesia to attend the workshop. 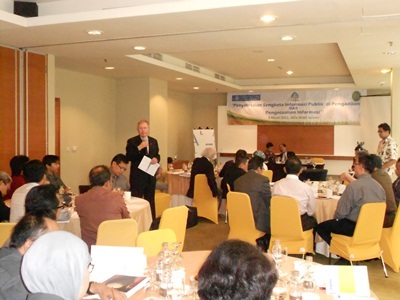 As part of an ongoing programme of cooperation between CLD and Indonesian partners, on March 5 CLD and the Indonesian Center for Environmental Law hosted a conference on the right to information. The conference featured the launch of two major publications, as well as presentations by the former Hungarian Information Commissioner and by representatives from the Indonesian Central Information Commission, the Indonesian National Police Headquarters, the Indonesian Supreme Court and the Indonesian Presidential Task Force. Nepal is currently at an important stage in its democratic development, as a nation struggling with constitutional crises and slow progress in terms of promoting freedom of expression. On February 27, the International Media Mission visiting Nepal issued a Joint Statement, addressing key law and policy issues including strengthening the constitution and limiting the scope of classification of information. Toby Mendel, Executive Director of the Centre for Law and Democracy, was a member of the Mission, and has been on several previous missions to the country. The Centre for Law and Democracy will be involved in several of the follow-up actions, including efforts to introduce changes to the proposed draft constitutional provisions on freedom of expression, of information and of the media. As part of an ongoing Indonesian project, CLD and Yayasan SET hosted this one-day conference which discussed government secrecy, particularly with regards to the draft State Secrecy Law currently under consideration in Indonesia. Featured speakers included CLD Executive Director Toby Mendel and CLD Legal Officer Michael Karanicolas. This conference in Astana brought together experts on media law and transparency law from across Central Asia and Eastern Europe. CLD’s Legal Officer Michael Karanicolas delivered the keynote addresses, presenting analyses of Kazakhstan’s draft Law on Information Access and draft Law on Publishing, as well as general comments on international standards of media regulation, free expression, and defamation law. This meeting in Hofburg, Vienna, was on the subject of Promotion of Pluralism in the New Media. Toby Mendel, CLD’s Executive Director, gave the keynote speech entitled “Pluralism in the New Media: Trends and Threats”. As the title suggests, the speech focused on some of the ways the new media have promoted pluralism, but also on some of the unique threats the online world poses to media pluralism. 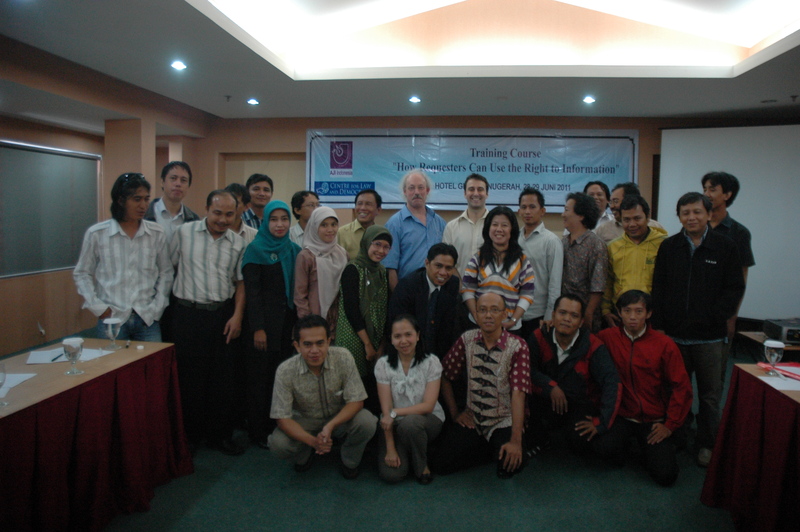 As part of our ongoing work to promote the right to information in Indonesia, in June 2011 CLD co-hosted a series of workshops in Jakarta, Surabaya and Lampung between June 22 and June 29. These meetings, which were attended by journalists and representatives from several major civil-society initiatives, were designed to educate and inform participants about their rights under Indonesia’s Act on Public Information Transparency, as well as to provide procedural information on how to go about making information requests, and how to deal with obstruction by public agencies. Participants were also able to hear from representatives from the regional Information Commissions, who offered practical guidance on how to maximize their chance of success when seeking information from public authorities. In preparation for the workshops CLD, in cooperation with the Alliance of Independent Journalists (AJI), prepared a manual on the right to information in Indonesia which can be accessed both in English and in Bahasa Indonesia. 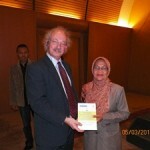 As part of this program CLD has also produced a series of brochures on the right to information in Indonesia. By empowering local organizations with the tools to use Indonesia’s RTI legislation, CLD anticipates that these and other likeminded organizations will be better able to perform their role as agents of government accountability. CLD also hopes to foster a culture of greater transparency by forcing public agencies to confront the reality of their new responsibilities to disclose, as well as by raising general public awareness about the importance of the right to information, as well as how to use it. This conference, hosted by Transparency Morocco in Rabat, was part of a wider local programme to advocate for the adoption of a strong local right to information law. CLD Executive Director Toby Mendel was one of the international speakers at this event. CAinfo and Unidad de Acceso a la Informatión Pública hosted this conference in Montevideo to discuss the implementation of Uruguay’s right to information legislation and to discuss a draft of a regional study on implementation of the right to information. CLD Executive Director Toby Mendel addressed the conference to discuss developments in the field of access to information. As part of International Right to Know Week, Canada’s Information Commissioner hosted an event in Ottawa on open government. CLD Executive Director Toby Mendel was a speaker at this event. 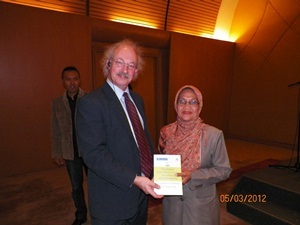 His paper focused on some of the legal challenges and blocks relating to opening up government datat. This expert meeting, organised by the UN Special Rapporteur on Freedom of Opinion and Expression and the Swedish Ministry for Foreign Affairs, brought together leading experts on Internet issues to discuss principles on freedom of expression and the Internet. Toby Mendel, Executive Director of CLD, participated in the meeting as an expert. The Roundtable was organised by the Media Policy Institute, in collaboration with Internews Kyrgyzstan, and involved participation from very senior politicians, as well as the OSCE. Toby Mendel, Executive Director of CLD, gave a presentation on the overall framework for media regulation under international law. This Forum, hosted by the Access to Information Network of the Philippines and held in the Philippine Congress, was held with the aim of promoting greater understanding about and incorporation of international standards into the draft national law on access to information. Toby Mendel, Executive Director of CLD, gave a presentation on FOI Recognition, Legislation and Practice: Global Developments. This meeting, organised jointly by the Floersheimer Center for Constitutional Democracy, the Benjamin N. Cardozo School of Law of Yeshiva University and the Center for Media and Communications Studies at the Central European University. The goal was to revive debate around the issue of hate speech. Toby Mendel, Executive Director of CLD, gave a presentation on Incitement to Genocide. The focus of this year’s UNESCO World Press Freedom Day Conference, an annual event which was hosted this year by The University Of Queensland, was on the right to information. Toby Mendel, Executive Director of CLD, gave a presentation at the first plenary session on Freedom of Information: current status, challenges and implications for news media. This Workshop was organised by Indian Institute of Public Administration in collaboration with the World Bank, with a view to fostering a regional discussion about implementation efforts regarding the right to information. Toby Mendel, Executive Director of CLD, was a discussant on the opening panel, featuring guests of honour. This Expert Conference was organised by the Amsterdam Center for International Law (ACIL) & Institute for Information Law (IViR) Faculty of Law, University of Amsterdam, in collaboration with the Human Rights Centre, University of Essex. The purpose was to explore developments regarding freedom of expression and the right to information in the UN context. Toby Mendel, Executive Director of CLD, gave the keynote presentation on Priority Issues Concerning Freedom of Expression on behalf of the UN Special Rapporteur, and also made comments on the draft UN General Comment on Article 19 (which guarantees freedom of expression). This workshop, organised by the World Bank office in Lusaka, involved senior officials and a range of civil society groups. The objective was to raise awareness among participants about international standards on the right to information. Toby Mendel, Executive Director of CLD, gave a presentation and then answered questions on the topic of the workshop. This Seminar was hosted jointly by Claudio Grossman, Dean, American University Washington College of Law and Frank LaRue, UN Special Rapporteur on Freedom of Opinion and Expression, with the aim of launching the 10th Joint Declaration of the four special international mandates on freedom of expression. Toby Mendel, Executive Director of CLD, was a discussant on a panel addressing the key points in the Joint Declaration. This Seminar was organised by UNDP Iraq, as part of its technical assistance in the context of the upcoming elections in Iraq. Toby Mendel, Executive Director of CLD, gave the keynote presentation, Overview of Regulations Relating to Media in Elections. This Roundtable, organised by the Coalition for Community Activism in Bermuda (CCAB), brought together a small group of high-powered officials and legislators, including the Premier, to discuss principles on the right to information, as a contribution to the preparation of local legislation giving effect to this right. Toby Mendel, Executive Director of CLD, gave a presentation on Transparency: Importance and Key International Perspectives.